The full-time, 20-month Leeds School of Business MBA places emphasis on a holistic learning experience, providing students with co-curricular activities and events to complement the in-class curriculum. The school strongly encourages students customize their MBA by building expertise in one of four functional areas: finance, marketing, real estate, or sustainability. Furthermore, students can combine their functional focus with a specialty in either entrepreneurship, real estate, or sustainability. Full-time MBA students must complete 55 credits to graduate. The first year of the MBA program consists of primarily core courses, the majority of which only take a half-semester to complete, while courses like Socially Responsible Enterprise or Decision Modeling last an entire semester. In the second semester of the first year, students will complete two elective courses, followed by a second year made up of solely electives. The Leeds curriculum is designed to allow students the flexibility to craft a personalized plan according to specific professional goals. The school encourages functional areas of focus in four different areas, as well as specialties in three additional areas. This highly customizable program enhances a student’s chances of finding a career in whatever path they choose, given the relevant prior coursework and experience. The most recent Leeds’ full-time MBA class features 94 students, with an average undergraduate GPA of 3.4 and a GMAT of 630. The class, on average, is 29-years old and comprised of 31 percent female students. The MBA Programs office serves as Leeds’s career support advisors. The office offers personalized career advising, one-on-one mentoring with an experienced professional in a student’s interested field, and several events including networking, club, and social gatherings, as well as industry panel discussions. The career advisors begin working with students at orientation and continue their guidance throughout the entire MBA program. The school boasts its Professional Mentoring Program, in which a variety of industry professionals provide hands-on learning, relevant advising, networking aid, and skill development to a full-time MBA student. The program has seen such success that the number of participants has doubled in size since its inception in 2009. 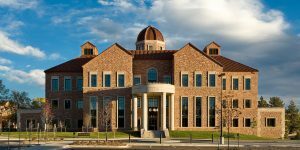 Tuition and fees for the Leeds full-time MBA is $54,509 for Colorado residents and $71,504 for out-of-state residents. The school notes that second year students will qualify for in-state tuition rates in their second year of study after establishing a year of Colorado residency. All Leeds applicants are automatically considered for merit-based fellowships, and also have the opportunity to apply for additional fellowships online. Leeds also offers federal loans, as well as private loan options. In order to apply to the Leeds School of Business, applicants must provide an online admissions form, unofficial transcripts from all institutions attended, GMAT or GRE scores (though the school notes the GMAT is preferred), two letters of professional recommendation, three required essays, and a $70 application fee. International students must submit official scores proving English proficiency–either the TOEFL, IELTS, or the PTE exam. Interviews are conducted on an invitation-only basis, and are conducted either in-person, over the phone, or through Skype.